"Lucy," who was known as "Rosie" when she lived here at the farm, was one of those rare bottle lambs that I cried over when she went to her new home. 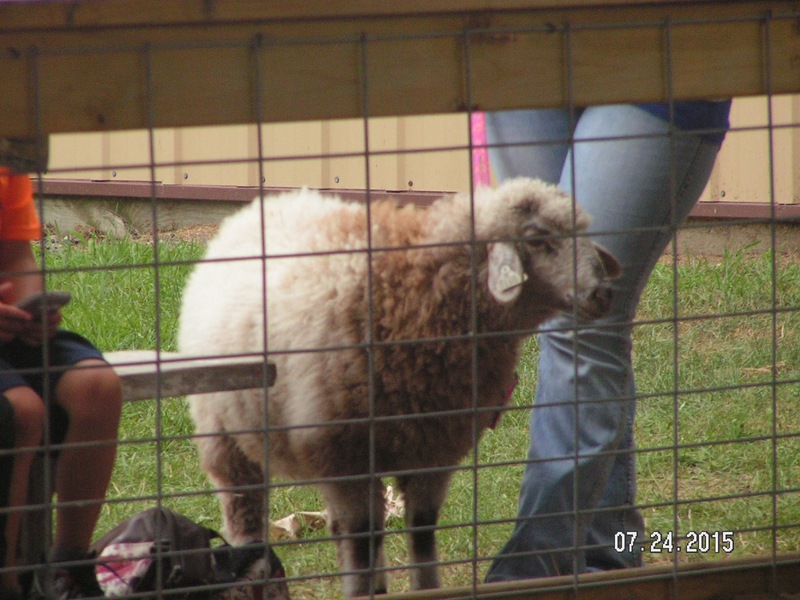 She was very special and I had decided to just keep her as a breeding ewe when I received and email from a Mom looking for a show lamb/pet for her son. Hunter desperately wanted a pet lamb, not a dog, a lamb. Well, I couldn't say, "No." It was a sad/happy day when Rosie left us to become Lucy. On a Friday morning in July, Mom and I showed up early at the Isanti County Fair to reconnect with Lucy. She had turned into quite a beauty, as I knew she would. Mom and I sat through the ewe lamb, yearling ewe, wether ewe, wether and market lamb competitions dominated by hampfolk for suffshire sheep with no wool on them (and no tails). The largest lamb won each competition. Then came showmanship with Cloverbud Lamb Lead last. Finally, Rosie, aka, Lucy, entered the ring (turn down your volume). Lucy has a great home with Hunter. She will come to visit this fall for shearing and perhaps a romantic encounter with Granite. It was great to see how happy and healthy she is at her new home.